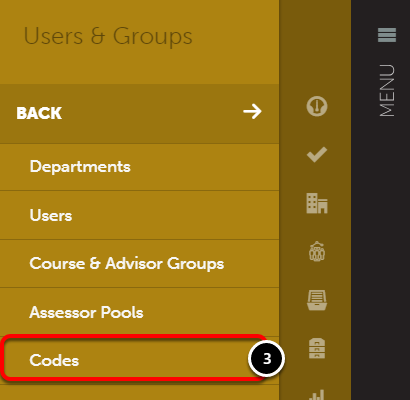 Assessor accounts in Chalk & Wire are typically created with CWR codes, which means that the users will not have authoring permissions. If you would like to add authoring permissions to a pre-existing user, you may purchase Up to EP codes by emailing Chalk & Wire to request them. Once you have acquired the appropriate code(s), please follow the instructions below to upgrade a CWR user to an EP user. 4. Under the Bulk Registrations heading, locate the Up to EP code. 5. Use its Actions menu to select Upgrade Users. 6. Select the Department which contains the user(s) that you would like to upgrade. NOTE: If you are not certain of which department(s) they have membership in, select All Departments. 7. 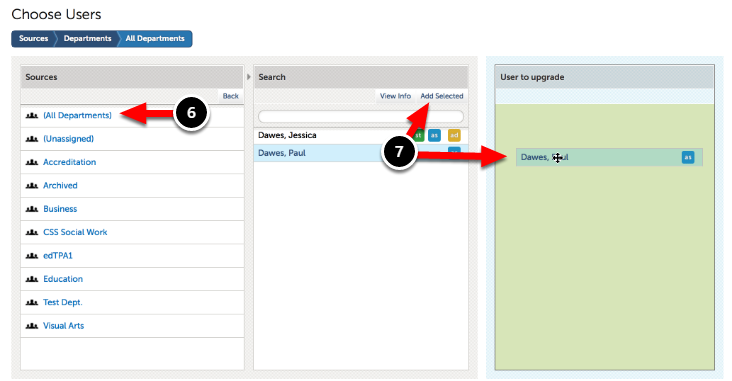 Locate the user in the middle column and click on their name to select them. 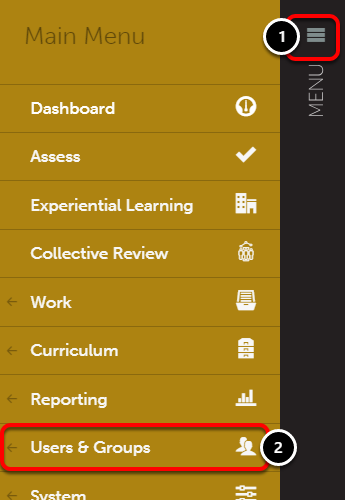 Click on the Add Selected button or Drag-and-Drop the user into the third column. The upgraded user(s) will be confirmed in green.